In need of a transmission repair in Deerfield Beach? We live in a time when owning an automobile is a norm. It allows us to freely transport ourselves from place to place without having to be reliant on another’s driving capabilities. With that, owning a car means there are responsibilities that fall upon you. 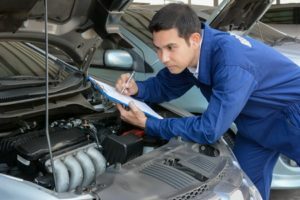 As the owner, you need to keep your car up and running. This is where AMS Jet Auto Transmission comes in, as we are the premier auto and repair service location for your car. Allow us to give you a few Deerfield Beach auto mechanic services that we offer. 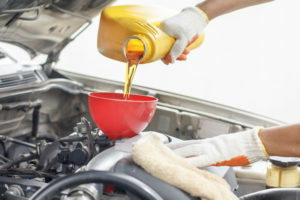 Fluid Leakage – If you happen to notice a leak from the car, check the color and smell to determine what the next steps are. If the liquid is bright red with a sweet scent, then things are working correctly, the hole needs to be fixed. If the fluid is dark and smells burnt, then you will probably need to fix the holes and change the liquid. Noisy Transmission – This problem may be an indication of a quick addition of fluid. However, if it persists, you’re running the risk of the slipping gears posing a safety risk and spontaneously turning into another gear while driving. Come on down to AMS Jet Transmissions when any of these problems arise. Delay of Response – If you have an automatic transmission and you, unfortunately, experience your vehicle refusing to go into gear, it may be time to go into the shop. If you change into gear and your car is slow to respond, we can help out with that as well. We have seen it all when it comes to transmission issues, so don’t be afraid to bring your car to our shop. Our Prices are the Best! Transmission reseals for $99.00. We also have similar savings as well. Clutch Repair for $199.00 for most cars. AMS Jet is a family owned business and has been working and helping South Florida for several years. Whenever you need a transmission repair, let us know! We are always ready to help someone out.